When the United States seized Pacific colonies in 1898, the emerging world power touched off a heated rivalry with another nation feeling newly energized and eager for colonial possessions to prove its standing. Japan saw the American presence in the formerly Spanish Philippines as a threat to its ambitions, and many Japanese took the overthrow of the Queen of Hawai’i as a direct affront. Simple racism also pushed the conflict. When the Americans brokered a peace deal between Russia and Japan in 1905, some Japanese felt they had been robbed of the fruits of their victory, and that the white Americans had cheated them in order to help the white Russians. In 1907, California passed a set of Jim Crow-style racist laws considered outlandish even by the lax standards of the day, further infuriating the Japanese. What is amazing is not the Japan attacked the United States in 1941, but that they waited so long. Japan did not loom nearly so large in the American consciousness, and Americans lacked the same widespread resentment felt by the Japanese. But within the United States Navy, planners saw war with Japan as the most likely future conflict and it was with such a war in mind that the United States built its fleet. When Japan signed an alliance with Britain in 1902, this act only seemed to confirm the Empire’s hostile intentions. “Orange,” the Navy’s code name for Japan, became the opponent in most war plans from the turn of the century until 1941. Even when the United States was informally allied with Japan in the First World War, American planners talked more about the Japanese than they did the Germans. 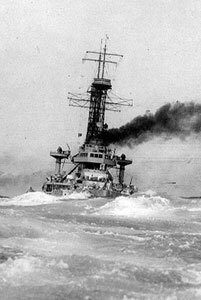 Great War at Sea: U.S. Navy Plan Orange is based on the war plans the United States hatched for fighting a naval war against Japan in 1930, and the Japanese plans to attack American bases in the Philippines. The Americans believed the Japanese would attack the islands, and a mighty American relief force would then charge across the Pacific to engage the Japanese in battle somewhere nearby. The Japanese had a similar view, though they believed the massive battle might take place closer to Japan. While the Americans believed the Philippines to be the object of Japanese desire, the Japanese for their part thought it necessary to deprive the Americans of forward bases there. For purposes of naval operations, either motive served about the same. The Japanese would attack the islands; the Americans would try to hold them and if necessary take them back. These operations are the crux of the operational and tactical scenarios in Plan Orange. U.S. Navy Plan Orange also contains counters for many ships designed and begun in the early 1920s but cancelled as part of the Washington Naval Treaties of 1922 that limited warship construction. Japan and the United States had engaged in a massive arms race, and neither nation could afford to continue it. Japan stopped construction on four battleships and four battle cruisers; the United States cancelled a class of six battleships and four battle cruisers, and scuttled one nearly-complete battleship from an earlier class. In addition, huge numbers of older warships went to the scrapyard. Present in the game are the American Constellation-class battle cruisers and South Dakota-class battleships (huge warships carrying twelve 16-inch guns). Japan has her Tosa-class fast battleships, Amagi-class battle cruisers and Kii-class fast battleships. 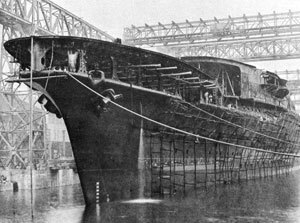 Early aircraft carriers such as the Hosho and Langley are here, and big converted battle cruisers such as Akagi and Saratoga. U.S. Navy Plan Orange introduced aircraft rules to the Great War at Sea series, and both sides have land- and carrier-based torpedo planes and fighters. 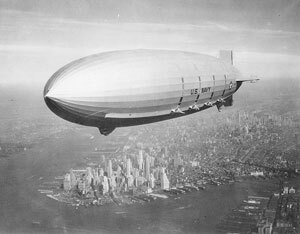 In addition, the Americans have the airships Akron and Macon, each of which carries its own fighter squadron! 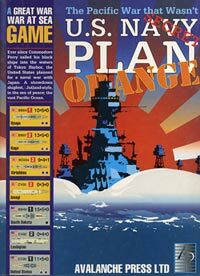 Winner of the Origins Award as Best Historical Boardgame of 1999, U.S. Navy Plan Orange started a series of similar games for us, including Plan Black, Plan Red and Plan Gold. There’s also an additional map and scenarios in our Great White Fleet book supplement. Scenario book with new air combat rules! Click here to purchase this great title! OR CALL OUR TOLL FREE ORDERING LINE!